Visit the Mobile Laboratory Coalition Website! As the role and importance of science and technology in society increase, so does the need for an educated populace capable of fulfilling highly skilled jobs and of making informed decisions. 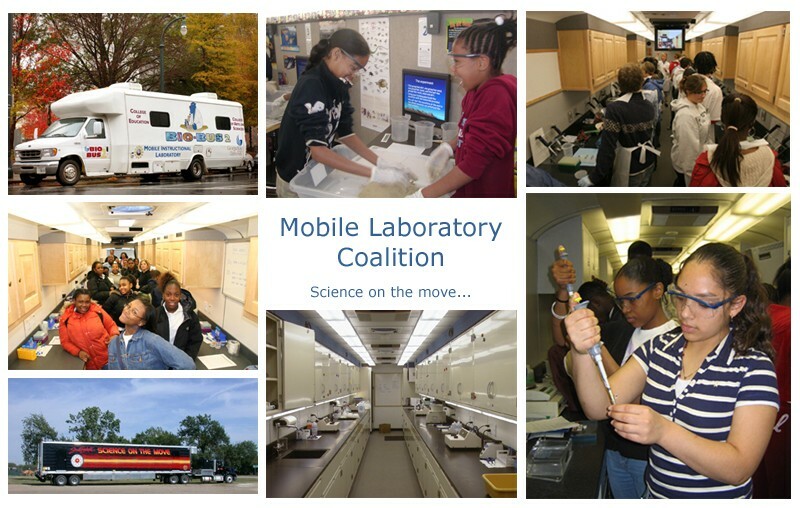 The purpose of the MobileLab Coalition is to create a network of mobile laboratory programs that provide equal access to authentic laboratory-based education for students (K-16), teachers, and the general public featuring state of the art science laboratory and computer technology. The flexibility and accessibility of mobile laboratories provide equal opportunities for ALL students to laboratory-based science education. This is particularly pertinent for disadvantaged populations who are often not represented in the science and technology workforce because of limited access to educational resources in science and technology. Develop and disseminate a national network of mobile laboratory programs with a common vision and shared curriculum. Assist and advise developing mobile laboratory programs. Collaborate with local and national agencies to raise funds and support for the dissemination of mobile laboratories. Set a high level of standards for the quality of mobile laboratory programs.